Often as part of an overall solution, you will need scheduled tasks to run on fixed intervals. These tasks are usually administrative, maintenance or integration. There are a lot of ways to achieve this, usually involve deploying windows services that have a scheduler built in like Quartz or using built-in windows task scheduler. 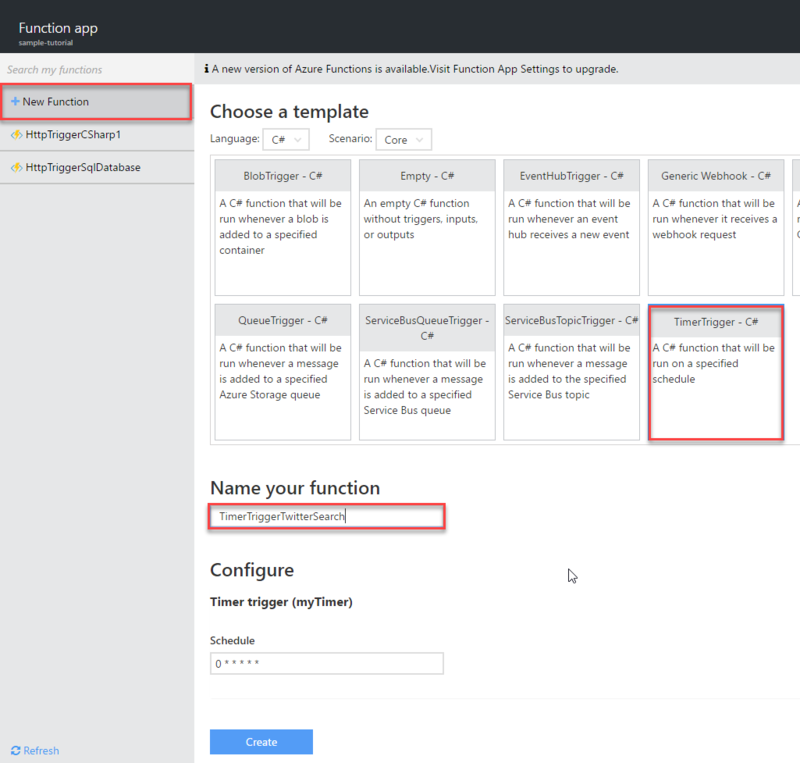 One of the major advantage we have in azure functions is server-less architecture, which means no deployment required and no need to pay for a virtual machine to host our service or tasks. 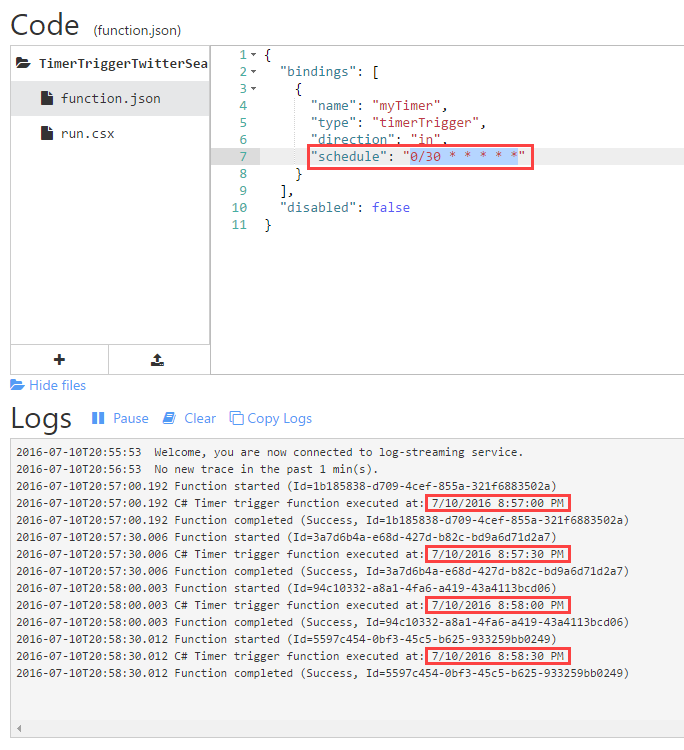 In this post, I will explain how Azure Functions time trigger works and what are CRON expressions. Give it a name and accept the default schedule expression. Congratulation, you have just created your first time triggered function. However, we skipped over the most important part, “Schedule” Expression. Let us spend sometime explaining what that is in details. The origin of the name cron is from the Greek word for time (chronos) from Wikipidia. It expresses time scheduled jobs as a string format often segmented to 6 or 7 fields separated by a space. Let us examine the format with examples to help explain it. Trigger at Zero second on any minute, any hour, any day. Trigger at Zero second and Zero minute on any hour, any day. Trigger at Zero second and 15th minute, any hour, any day. Trigger at 30th second and 30th minute and 1st hour, any day. Trigger at Zero second and Zero minute and Zero hour, any day of the Month and on MON,TUE, WED, FRI. This should trigger the function every 30 seconds starting from zero seconds.